It's November and we have so much to be thankful for here on the Big Island! Check out all the Fall festivities and news below that you won't want to miss! As things are cooling down in the rest of the US, heat things up with a 15% fall discount on all our properties. This offer is valid for new reservations with an arrival date between November 1st through December 15th. Don't miss out! U.S. News and World Report has officially ranked the Big Island the #1 BEST winter vacation spot for our "warm weather and excellent surfing conditions". This comes as no surprise to us as we have some of the best beaches in the world book with us today to come see for yourself! This month marks the 48th annual Kona Coffee Cultural Festival. This award-winning Kona Coffee Cultural Festival is recognized as the oldest and one of the most successful food festivals in Hawaii. Come out and enjoy the coffee tastings, cultural music and dancing, and hands-on events that help tell the story of Kona’s rich coffee history! 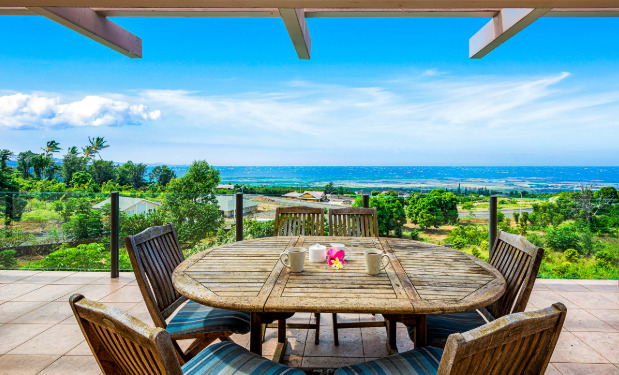 From private pools to beachfront spacious backyards, our properties offer the perfect home base to come back and unwind after a day exploring the Big Island. Check out all our luxurious properties, here. The Big Island is filled with iconic sights and awesome activities. From swimming with dolphins and volcano walks to Hawaiian Luaus, it is sure to offer something for the whole family! Let Boundless Hawaii be your virtual concierge and book all your activities through our site! View all activities here. As mentioned before, November is one of the best times to visit Hawaii. Below are a few more exciting events happening this month! 1-877-782-5662 All rights Reserved. Copyright 2019 | Boundless Hawaii is a registered trademark of Elite Pacific Properties, LLC.